App-based taxi aggregator Uber and Ola brought back surge pricing on 1 May, a day after the end of odd-even scheme and the first day of ban on diesel cabs in Delhi. 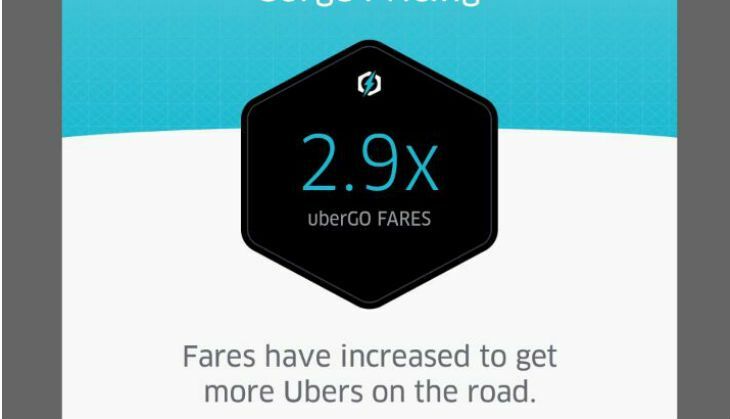 When Catch tried to check the the Uber app for current pricing, we found Uber showing 2.9X surge in Delhi on 2 May. The company's move has invoked the ire of Delhi Chief Minister Arvind Kejriwal who has once again warned of "strong action". During the 15-day odd-even period that ended on 30 April, the Delhi CM Kejriwal had said that such fare hikes should be banned permanently. The Delhi government had cracked its whip on cab service providers on the first week of the second phase of odd-even after Kejriwal termed the concept as "daylight robbery". Authorities had also impounded cabs for overpricing. However, just a day after the second phase of car rationing, the commuters of Delhi-NCR complained of the fare hikes by Ola and Uber. According to a PTI report, the Uber spokesman confirmed the suspension was only for a temporary period.